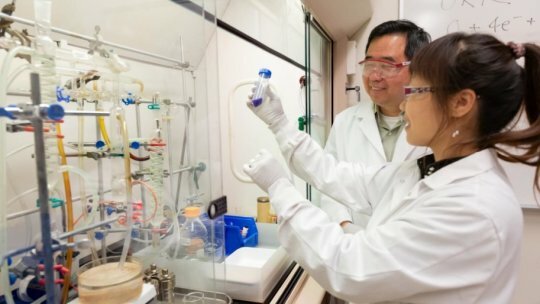 Summary:Scientists have identified a new catalyst that uses only about a quarter as much platinum as current technology by maximizing the effectiveness of the available platinum. Using metal-organic frameworks as precursors, Liu and his colleagues were able to prepare a cobalt-nitrogen-carbon composite substrate in which the catalytically active centers are uniformly distributed near to the platinum-cobalt particles. Such active centers are capable of breaking the oxygen bonds by themselves and work synergistically with platinum.